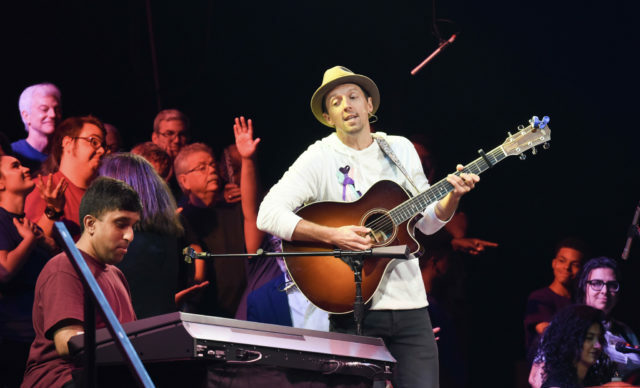 Grammy award winner Jason Mraz loves being a big kid on stage, and that’s what his continuing participation in SPARC’s LIVE ART program allows him to do. This year Mraz joined singers Sara Bareilles, Josh Groban, Michael McDonald, and Rayvon Owen on stage with more than two hundred kids and artists for LIVE ART Love on June 3 at Altria Theater. Mraz would love to see LIVE ART have a life that extends outside of Richmond. Last year in March, he was part of a LIVE ART performance with local Austrian students at the Special Olympics World Winter Games in Austria. 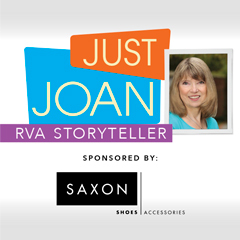 “It was our first attempt at replicating LIVE ART outside of Richmond. We had to do it in a very short time and in a completely different language for national/world broadcast,” he says. This May, Mraz teamed up with Senator Tim Kaine on harmonica and students from LIVE ART to perform in the tenth annual We Write the Songs* event at the Library of Congress in Washington, D.C. “We had a captive audience,” Mraz says of the Senators and staff who attended. The event supported the Music Modernization Act, which will update how artists and songwriters are paid in the modern, digital marketplace. It will help the small songwriter see “improvements,” says Mraz who won the Hal David Songwriters Hall of Fame Award in 2009. 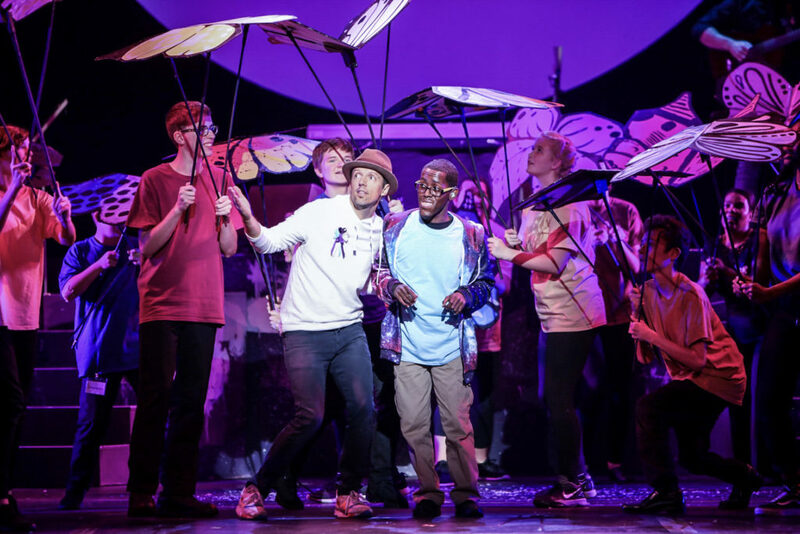 Outside of SPARC, Mraz is busy with his own career, which took an interesting twist last year when he made his Broadway debut in Waitress in November. Bareilles, who earned Tony and Grammy Award nominations for the score, rejoined the show during his run, which ended in February. He admits he misses being in the show. “Maybe there will be another,” he says. Turnaround Arts Richmond was one of the partner organizations that worked with Mraz for the music video for his latest song Have It All, released in April. The video features students from SPARC and Richmond Public Schools as well as other arts organizations. It was filmed at Binford Middle School, part of the Turnaround Arts program, and various places around the Richmond area. Watch the video here! *U.S. 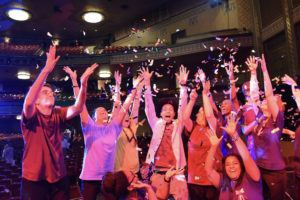 Senator Tim Kain made a surprise appearance on stage during “I’m Yours” to join Jason Mraz and SPARC youth performers during the “We Write the Songs” concert on May 16, 2018, at the Library of Congress. WATCH HERE! 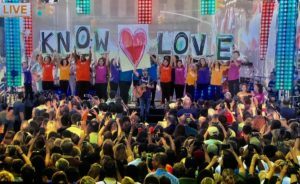 Jason Mraz and the SPARC team performed on The Today Show in New York City. WATCH HERE!